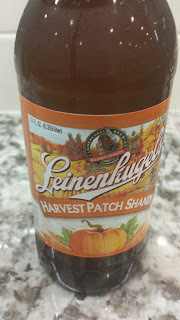 This week's Sunday Night Suds looks at Leinenkugel Harvest Patch Shandy. While in Chicago over Sukkos over Sukkos I picked up the Leinenkugel Autumn Explorer Pack which features the Harvest Patch Shandy, India Pale Lager, Maple Dunkel and Octoberfest. As I had not tried most of these beers and there were numerous thirsty Cubs fans watching the playoffs (at the time it was the NLCS) I knew that I could easily share this and get other opinions of the brews. I have to admit that when I commenced this exercise, the Harvest Patch Shandy was the beer which I felt that I was least likely to enjoy. But after Mrs KB and her sister in law Naomi L both expressed that this beer did not taste like a typical Shandy, I tried it and surprisingly found that I liked this brew. The brew is all pumpkin and spice and frankly, very little beer. If you were take a pumpkin pie and puree it and pour it into a beer bottle for about fifteen minutes and then strain it to remove the pumpkin pulp, you would be able to create a reasonable facsimile of this beer. 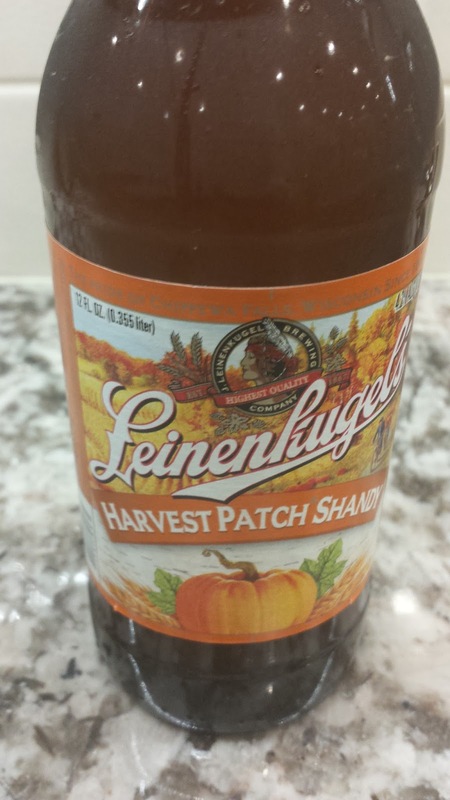 Leinenkugel Harvest Patch Shandy is certified kosher by the Orthodox Union, and has an OU on the label. To see what the experts on Beer Advocate think about this brew, please follow this link beeradvocate.com/beer/profile/710/129261.